Hotel Le Vert is a new concept in the Alps, fusing comfortable, flexible and affordable accommodation with a professional yet friendly hotel team - all who share a passion for the mountains. Its vibrant atmosphere is ideal if you are looking for a lively place to stay. 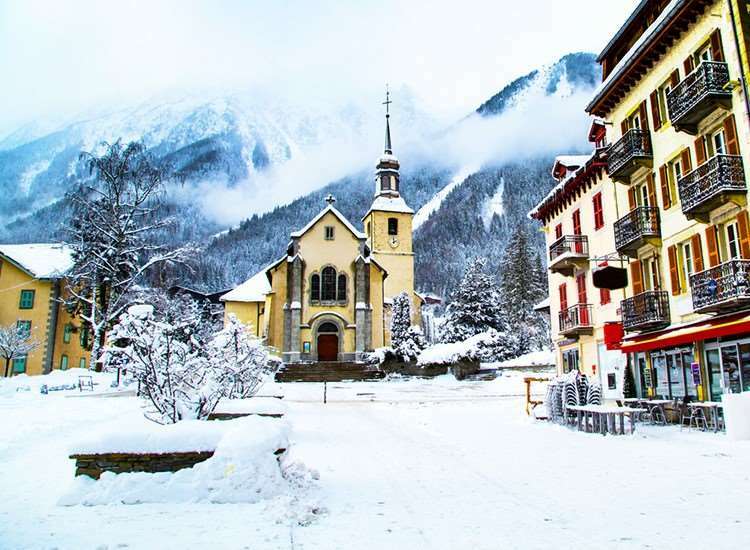 It has a very popular bar and organises many social events, attracting people out of Chamonix town centre. The Pro hire shop is conveniently located on the premises, making it easy and efficient to get kitted up on your arrival. You can choose the board basis which best suits your needs. Breakfast is included as standard and if you want dinner every evening in the hotel's restaurant, please add at the time of booking. Please note: If travelling by coach, 2 nights of the stated holiday duration will be spent travelling to and from resort on the coach, not at the hotel. The rooms are spacious with ensuite facilities, Satellite TV, internet broadband access and balcony/terrace. Breakfast only with optional upgrades. Le Vert is a great little hotel tucked away in the quieter suburbs of Chamonix. The restaurant and bar downstairs are a fantastic addition and a great place to chat to locals and get the insider info on secret powder stashes! The hotel has a free shuttle into the center of town that runs late into the night. The best thing about the location is the train stop just across the road which takes you to the slopes in style and comfort, and beats the crowds of the bus! The international staff were really helpful and gave me some great tips for good places to ski and eat, and events in the town. Only an hour from Geneva airport, this place is perfect for the cheeky long weekend in the mountains!